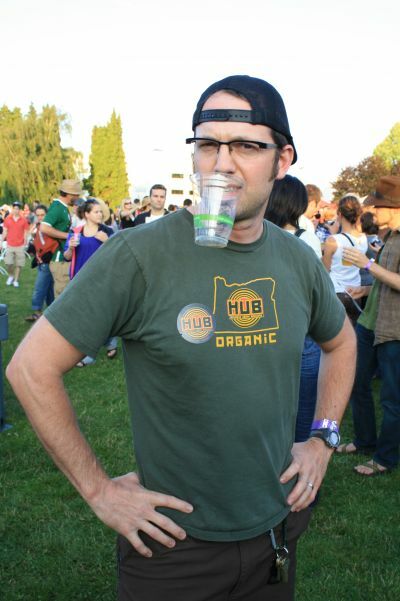 Beginning Friday June 25, the North American Organic Beer Fest (NAOBF) kicks off at one of Portland’s best festival venues, Overlook Park. Close to the Max train, NAOBF offers easy access to public transportation. In fact, the organizers encourage visitors not to drive by offering discounted admission for those who train or bike in. Bring three cans of food for the Oregon Food Bank, and receive a discount as well. Elliott Bay Vanilla Bean Organic Stout: Hailing from the Seattle area, Elliott Bay Brewing is known for its sustainable practices that characterize much of the Pacific Northwest. This robust yet silky smooth brew is made with flaked oats and vanilla beans to offer a dessertif character. Kona Oceanic Organic Belgian-style Saison: A golden straw colored Belgian summery brew is made with all organic hops and malts and spiced with a touch of coriander and grains of paradise. A custom blend of Belgian yeasts yield an effervescent and piquant presence seemingly perfect for the kick-off of summertime. Laht Neppur Strawberry Cream Ale: You may have noticed plump strawberries poking out in patches of late. 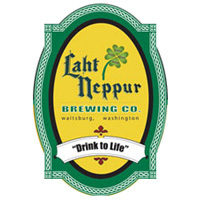 So did brewer Court Ruppenthal Laht Neppur Brewing in Waitsburg, Eastern Washington. A fruity rendition of the brewery’s regionally popular pale ale, this straw-beer-y infused treat is not the only delicious berry brew is not the their only fruit offering at NAOBF this year. Laht Neppur Peach Hefeweizen: The name screams summer. An American-style wheaten ale using fresh fruit and peach extract, you don’t have to feel like a sissy for drinking this sustainably minded fruity beer, but it’s okay if you want to. We won’t judge. Fort George Spruce Budd Ale: A seasonal favorite from Astoria’s finest brewery, this beer plays like Oregon spring and summer in a glass (a compostable cornstarch glass). Dubbed as “a traditional, old school beer,” this brew used Clatsop County spruce tips picked from the forest in the place of hops to offer a bittering and unique balance to its organic malt base. The brewery encourages you to drink up, because its a source of vitamin C to help you prevent scurvy. 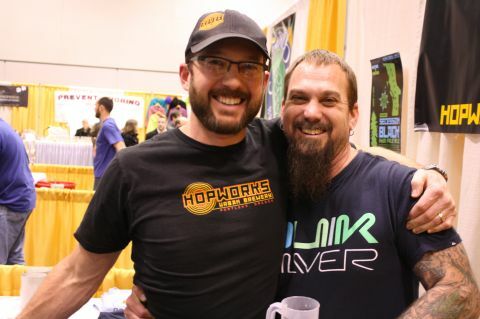 Hopworks Organic Bohemian Pilsner: This Czech-style Pils is another in Hopwork (HUB)’s repertoire of always-organic practices. “All malt all the time” says the brewery, the snappy whole cone Saaz hops adequately compliment the Canadian-grown Pilsner malts that offer a slight honeyed sweetness. Perfect brew for summer? Hard to say no. Natian Brewing Make Shift Golden Ale: We recently tried this brew at Bailey’s Taproom and thoroughly enjoyed it. Relatively new to the Portland craft beer scene, Natian, here, puts forth a very light, sessionable brew with Palisade hops and a healthy helping of organic honey. 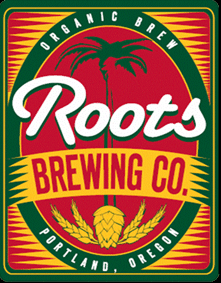 Roots Gruit Kolsch: A hopless delight, this summer sensation is brewed with a mouthwatering blend of herbs including pesticide-free chamomile and lavendar flowers grown at the brewery. This is a beer we look out for every year and highly anticipate having it again at this year’s NAOBF. Light golden bodied, and 100% organic. 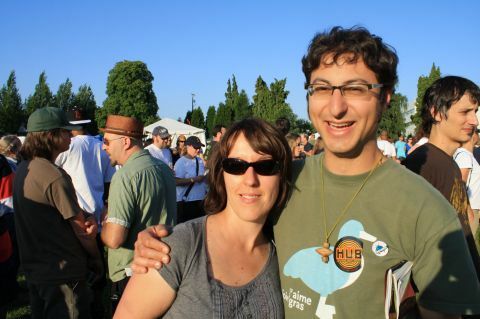 Uncommon Brewers Siamese Twin Belgian-style Dubbel: Making its first appearance in Oregon, Uncommon Brewers of Santa Cruz, California, offers a draft version of this otherwise canned craft brew. With a bold, yet dangerously smooth, 8.5% alcohol presence, Siamese Twin daringly utilizes a delicious concoction of lemongrass and Kaffir lime leaves and Indian coriander. A sweet, spicy, refreshing beer, this could easily be the most sought-after brew of the event. Upright Brewing Rose City Seven: A special single-cask brew rendition of Upright’s Seven Saison with added hibiscus, rose hips, and rose petals, and aged in barrels formerly employing Pinot Noir. Spicy, citric, and limited to only four kegs, so get it while the gettin’s good! Squatters Organic Amber Ale: A light 4% ABV, 100% organic amber ale from Salt Lake City, Utah, this caramelly brew has a sharp little hops kick. A rare treat to try this accomplished Utah brewery’s beer, several winning medals from GABF and NABA confirm this beer is the real deal and a great summertime quaffer. 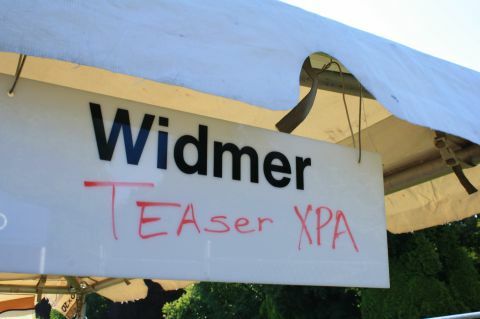 Widmer Teaser XPA: The good bros at Widmer come good again with this beer that appear at last year’s NAOBF. The Teaser will keep you refreshed with the experimental Tea Maker hop from Goschie Farms. This hop imparts a subtle tea essence with a nice flowery aroma and next to no bitterness. You’ve got to try it to believe it. And while it might not be for everybody, as a bunch of tea drinkers, we love it! 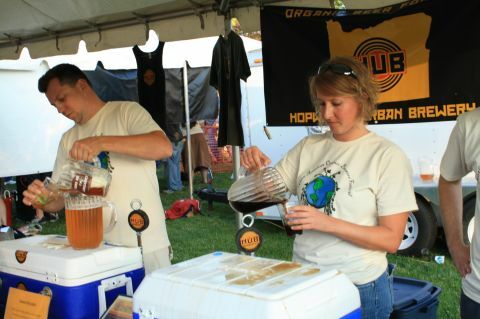 So there you have a few special brews to check out at this year’s NAOBF. Live music and the scents of delicious organic food will fill the air while you traipse through what we’ve continually billed as the best beer venue in Portland. A truly monumental event, The NAOBF, in its sixth year, is a family friendly event, and minors are welcome with parents. 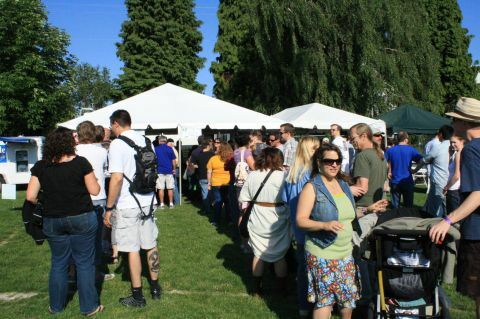 The festival benefits the Leukemia Lymphoma Society and the Oregon Food Bank. Remember to bring cans of food to donate, ride your bike or take mass transit, and don’t panic, go organic! Man, I already made my list. But based in these suggestions and descriptions I think I need to revamp it. Sounds like it was a lot of fun! Mind if I re-post this on the Guinness facebook page? Great initiative, Encouraging people to Drink organic beer & also to use Train & Bikes. Looks like an awesome event. Especially exciting to see vegan cheesesteaks available! Wish I could have made it. Next year..